Bill Layne, age 88 of Breckenridge, passed away Friday, January 25, 2019. Funeral services will be held at 2 p.m., Monday, January 28th at New Hope Baptist Church #3 with Rev. Ronnie Guess and Rev. Charles West officiating. Interment will follow in the Mount Zion Cemetery under the direction of Morehart Mortuary. Visitation will be held from 5 p.m. to 6:30 p.m., Sunday, January 27th at Morehart Mortuary. William David Layne was born February 24, 1930 in Strawn, Texas to Benjamin Harrison Layne and Susan Eleanor Roberson Layne. He graduated from Strawn High School in 1948. On December 4, 1949, Bill married Marlene Langford at the New Hope Baptist Church #3 parsonage. Bill served in the United States Army until he was honorably discharged in 1954. After his discharge, the Laynes returned to Fort Worth, where he was employed by Lockheed Martin until he retired in 1973. Bill then worked for the City of Hurst as the lead man of the Parks Department until his final retirement in 1990. In 1995, the Laynes moved to Breckenridge and were members of New Hope Baptist Church #3. 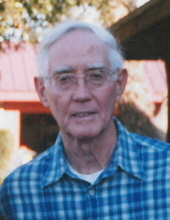 Bill enjoyed fishing, gardening, working in the yard, and watching football and baseball, especially the Dallas Cowboys and the Texas Rangers. When he wasn’t spending time at the family farm, you could often find him at the local Dairy Queen where he was a frequent diner. He was preceded in death by his parents, Benjamin and Susan Layne; his wife, Marlene Layne; and four siblings. "Email Address" would like to share the life celebration of Bill Layne. Click on the "link" to go to share a favorite memory or leave a condolence message for the family.